Elymaids. Orodes I, ca. AD 130 to 147. 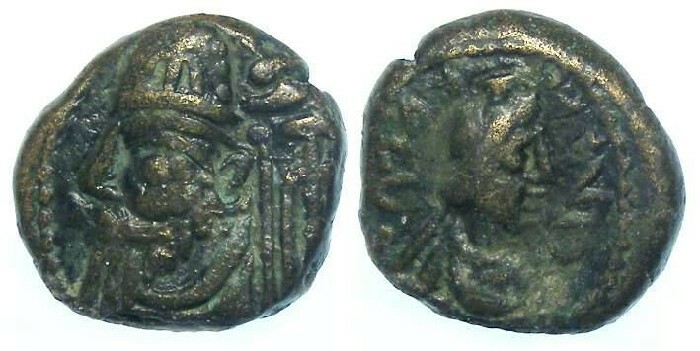 Bronze drachm. Size : 12.8 x 14.0 mm. Weight : 3.41 grams. Grade : gVF with a mid brown patina. Brassy metal showing on some high points. Reverse : Radiate bust of Artemis right, with a degenerate Greek inscription BACILEUK URwDHC around (only fragements of the inscription are visible).